Stewart Stevenson, SNP MSP for Banffshire and Buchan Coast, today welcomed the announcement that the Peterhead Project had been selected as one of two preferred bidders for the £1bn Carbon Capture and Storage (CCS) competition. This funding will support the development of CCS technology, which if implemented at scale, could allow the safe removal and storage of harmful carbon emissions from coal and gas plant. Peterhead Power Station was selected as a preferred bidder following a period of intensive commercial negotiations with four projects shortlisted from an original eight in October last year. The UK Government will now undertake discussions with the two preferred bidders to agree terms by the summer for Front End Engineering Design studies, which will last approximately 18 months. A final investment decision will be taken by the Government in early 2015 on the construction of up to two projects. “This is wonderful news for the Peterhead Project, and another step towards establishing green technology as an important industry in Scotland. I congratulate the Peterhead Project on their hard work and effort which has led to this proud day. “However, In light of the previous UK Government’s abandonment of the earlier Peterhead CCS project and the disappointment over Longannet, Westminster must clearly demonstrate its commitment to supporting commercial development of CCS, especially as the continued commitment from both industry and the Scottish Government is so clear." “In Scotland, we believe in the importance of a diverse and balanced energy portfolio to provide us with secure and affordable heat and electricity for decades to come. To that end, we are working to introduce CCS technology which could play an important role in that goal. For more information, please visit http://www.shell.co.uk/gbr/environment-society/environment-tpkg/peterhead-ccs-project.html. Stewart Stevenson, SNP MSP for Banffshire & Buchan Coast is calling on all eligible organisations to apply for the latest round of Coastal Comunities Funding (CCF). CCF is a UK-wide programme, delivered by the Big Lottery Fund, for projects which promote sustainable economic growth and jobs in tourism, fisheries and aquaculture sectors. This year the focus is job creation and money is available to support coastal communities in achieving regeneration and economic growth through projects that create and maintain sustainable jobs. “I am glad to see applications being accepted for this latest round of Coastal Communities Funding, which helps to support the fisheries and tourism industries. “I am absolutely delighted that nearly 3 million pounds of Scottish Government funding is enabling The Moray Council to take these projects forward and building much needed affordable housing in Forres and Buckie. “The SNP recognises the importance of tackling housing waiting lists and maintaining progress on building new council and housing association units after years of no building at all in mainland Scotland under previous administrations. “The new houses at Ferrylea in Forres will be very good news indeed both for construction and for helping people in the Forres area who are living in unsuitable accommodation due to a shortage of affordable housing. “Investment in additional affordable housing is crucial for both boosting the construction sector and providing work and for tackling the long-term housing needs that we have. “The new housing in Barhill Road is a welcome addition to Buckie and will provide much needed additional affordable housing. Getting into a place of their has been difficult for young families in recent years and it is only by the construction of projects like this that we will get proper housing provision for future generations. Stewart Stevenson, SNP MSP for Banffshire and Buchan Coast has welcomed the beginning of construction of Asda’s new branch in Fraserburgh. Asda are investing £11 million with the construction of a 25,000 square feet (sales area) supermarket, customer cafe and petrol station. The development will also see the creation of up to 200 new jobs. As well as bringing significant employment opportunities to the town, the proposed store will expand consumer choice and provide a convenient major outlet for those in the surrounding area. “I am delighted to see construction beginning on the new Asda store. This sort of investment in the community will eventually result in a significant number of new jobs for the people of the area, as well as bringing a diversity of choice for shoppers and a boost to the local economy. Stewart Stevenson, SNP MSP for Banffshire & Buchan Coast has welcomed the news that Sandhaven and Pitullie Public Hall Association have received Awards for All Scotland funding from the Big Lottery Fund totalling £4,090. Sandhaven and Pitullie Community Hall Committee have ambitious plans for the money. They will undertake improvements to their community facility and increase recreational usage by local residents and use the funds for architect costs, design costs and a business plan. “I am delighted to see this local village hall, who are centres of activity in our communities, receiving these funds, which will serve to support them now and provide for their development in the future. 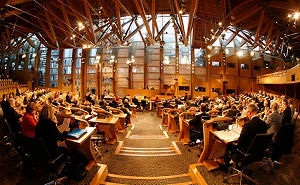 Stewart Stevenson, SNP MSP for Banffshire and Buchan Coast used the Scottish Parliament’s Ministerial Question time to highlight the bitterness among people in Moray at the UK Government’s closure of RAF Kinloss. Mr Stevenson highlighted the damage the UK Government’s reckless defence cuts will do to Scottish Communities, and reiterated that small increases in personnel numbers take no account of the P45s being dished out by the UK Administration, which will negate any increases. “That is the background against which the statement [was] made by the UK Government. We have seen a vast number of redundancies. We are told by the MOD that there will be 5,000 more redundancies across the UK—1,000 may perhaps come from Scotland. “I am grateful for the continued support of the Scottish Government amidst the swingeing defence cuts from Westminster. 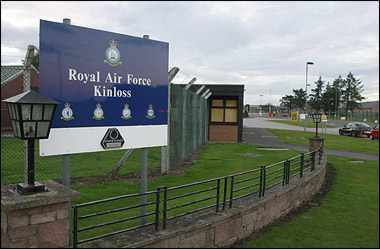 The UK Government are rapidly dismantling the armed services in Scotland and are papering over these cracks with meagre troops deployments which will not replace the importance of installations like Kinloss to communities and the local economy.